In 2018 our Kiltwalk heroes raised over £15,000. For 2019 we want to smash this target and with your help, we can do it. Our goal is to get 100 people to take part and we want YOU to join #TeamSFAD. Whatever distance you choose to walk, you will need to pull on your trainers or walking boots and do some training. Walking is a fantastic and free exercise and the Kiltwalk is a great reason to get moving. Taking part in the Kiltwalk is so much more fun as part of a team. Why not get a group of friends, family or work colleagues to take part with you? 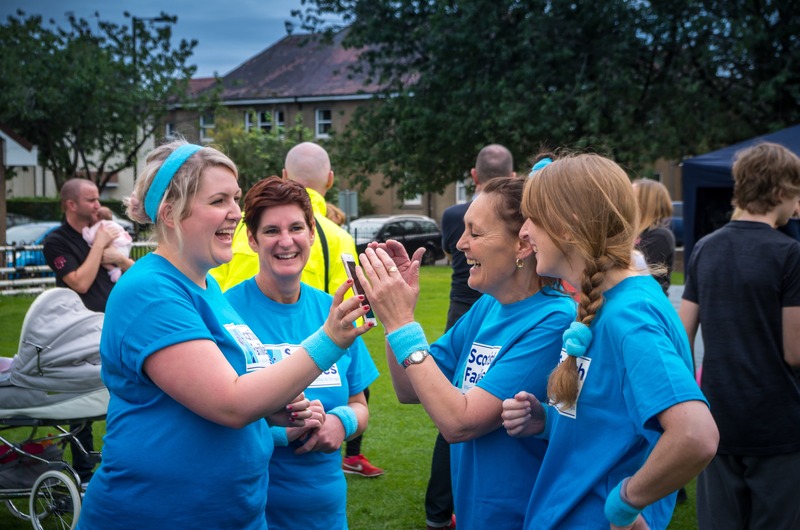 The Kiltwalk is a great chance to spend time together working towards a goal. The Kiltwalk takes place in Glasgow, Aberdeen, Dundee and Edinburgh. All the routes take you past some truly stunning locations in Scotland. We can’t guarantee the weather but we bet you will enjoy the great outdoors even in a waterproof. The Kiltwalk is one of the biggest fundraising events in Scotland, year after year more people are signing up to take part in the challenge. With an unbeatable atmosphere, the Kiltwalk rightly has the reputation of being one of the most fun fundraising events to be part of. With a choice of distances, the Kiltwalk is suitable no matter what your age or ability. Kids and families love the 6 mile Wee Wander, work teams can try the 11 mile Big Stroll and anyone who loves a challenge should try the 25 miles Mighty Stride.